In an unusual position for a Republican, Sen. Jeff Stone is proposing that California set up its own government agency to negotiate lower drug prices on behalf of most residents and cut out the private multibillion-dollar industry that currently serves that middleman role. Stone (R-Temecula), a pharmacist who sits on the Senate Health Committee, told POLITICO he is amending Senate Bill 642 to create a new agency called the California Department of Drug Acquisition and Adjudication — a state-operated pharmacy benefit manager (PBM) that would negotiate lower drug prices for California consumers and employers across public and private sectors. The amendments, expected to be in print late Wednesday, take aim at private PBMs that have faced increasing scrutiny from state and federal officials, including the Trump administration. The bill would exempt all-inclusive plans that operate their own pharmaceutical purchasing, such as Kaiser. He said the state can cut better deals and under his plan, would be required to earmark funds specifically for implementing policies to lower health care premiums. He estimates California could generate $3 billion to $5 billion per year by eliminating traditional drug intermediaries. Stone acknowledged that it’s uncommon for a Republican to push for more regulation and bigger government. But he said he’s driven by the potential savings Californians could see. He said he has also grown frustrated as he’s watched the three dominant pharmacy benefit managers that control 85 percent of the national market increase profits without passing savings on to consumers. He blamed them for driving health care costs higher, for companies and the system as a whole. “They became multibillion-dollar companies on the backs of citizens seeing higher health care costs,” Stone said. Express Scripts, OptumRX and CVS Caremark control 85 percent of the market, “which allows them to exercise undue market power against manufacturers and against the health plans and beneficiaries they are supposed to be representing, thus generating outsized profits for themselves,” said President Donald Trump’s Council on Economic Advisers in a 2018 report on pharmaceutical pricing. The companies argue that they play a critical role in negotiating lower drug prices for consumers. They say they are best positioned because they have the scale and expertise to negotiate lower prices with manufacturers, largely through the marketing of generics. The Pharmaceutical Care Management Association, which advocates on behalf of PBMs, says they are “projected to save employers, unions, government programs and consumers $654 billion — up to 30 percent — on drug benefit costs over the next decade.” It comes as the price of prescription drugs is also rising. Cost growth nationally is expected to grow 4.6 percent this year, according to the Centers for Medicare and Medicaid. “It is the core mission of pharmacy benefit managers, PBMs, to advocate on behalf of consumers to keep prescription drugs accessible and affordable. PBMs reduce drug costs by using consumer-friendly, market-based tools that encourage competition among drugmakers and drugstores,” PCMA said in a statement. California is trying to force PBMs to be more transparent. Former Gov. Jerry Brown signed legislation last year authored by Assemblyman Jim Wood (D-Santa Rosa) that requires them to register with the state Department of Managed Health Care and disclose, upon a purchaser’s request, information on discounts and payments made to pharmacies on behalf of patients. The senator is also looking to sell his proposal to Gov. Gavin Newsom, who is drafting a bulk purchasing plan for California that seeks to lower pharmaceutical prices. Though other states have laws in place that regulate PBM operations, no state operates its own government PBM. Newsom spokesperson Nathan Click declined to comment on the bill specifically, especially since amendments are not yet in print, but said the administration looks forward to understanding the details. “The governor will weigh in when and if it gets to his desk,” Click said. This merger’s not over even when it looks to be over, apparently. 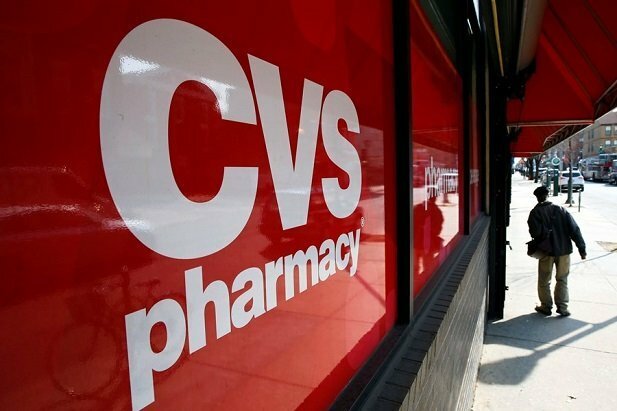 A federal judge will hear testimony from witnesses who opposed a ruling from the Justice Department approving the merger between CVS and Aetna that closed last November. The judge has said he anticipates a week long hearing in May, during which testimony from the American Medical Association and consumer rights groups will likely be heard. Both have said they want to testify. In addition, there may also be witnesses from the Justice Department and CVS. Such a move is “highly unusual,” according to the Wall Street Journal. Not only has the acquisition already taken place, but CVS and Aetna have already posted earnings as a single company. 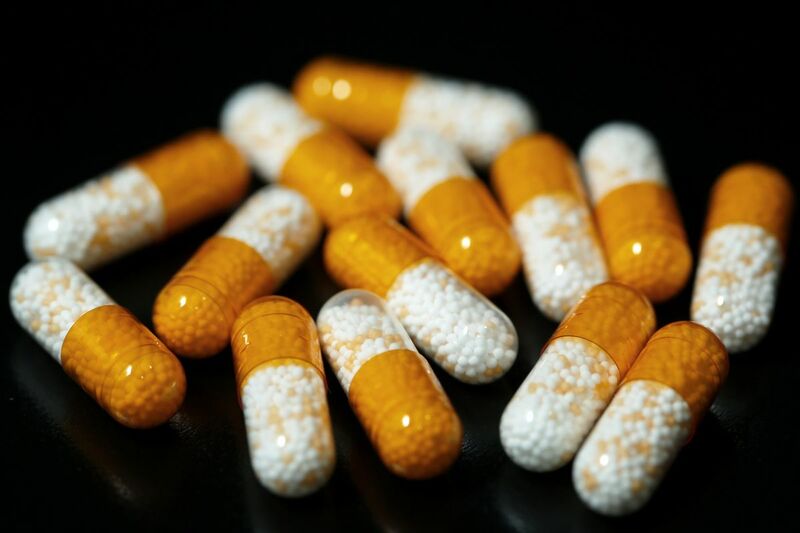 The merger was allowed after the two companies agreed to sell off assets related to drug coverage for Medicare, but Reuters reports that Leon had previously expressed reservations about the deal, saying he was “less convinced” than the government that antitrust issues were resolved by the asset sale and wanted more time to consider the settlement. CVS had said it would keep part of the Aetna operations separate until he did so. The Trump administration has held early-stage conversations with Speaker Nancy Pelosi’s staff about drug-pricing legislation that could provide each side with a domestic policy victory, according to White House and congressional sources. Democrats and the Trump administration have made reducing drug costs a priority, but accomplishing anything could be difficult, especially since the administration has taken an aggressive stance to overturn Obamacare in federal court. Democrats have been reluctant to work with the president or give Republicans the opportunity to claim credit on an issue that ranks high with likely voters. Rep. Peter Welch (D-Vt.) participated in a mid-February meeting where White House participants included Domestic Policy Council Director Joe Gogan, HHS Secretary Alex Azar, acting chief of staff Mick Mulvaney and Chris Liddell, his deputy for policy coordination. Welch told POLITICO the only shared principle was to lower drug prices. Wendell Primus, Pelosi’s longtime health policy aide, is handling talks on the speaker’s end, sources told POLITICO Playbook. Primus has also been engaged in bipartisan conversations with aides to Senate Finance Chairman Chuck Grassley (R-Iowa), the senator’s staff told POLITICO. While all of the participants have not yet met in one place, Republicans in the House and Senate are also having separate conversations with the White House and HHS on how to address pharmaceutical costs, according to Grassley aides. The White House reached out to Democratic-leaning health groups earlier this year to gauge how receptive Democrats would be to working with the Trump administration on drug pricing, sources said. Primus has been trying to get White House buy-in for a drug price negotiation idea known as arbitration, where a third party would help decide the price of a select group of high-cost drugs, POLITICO reported in February. Republicans might support that idea more than widespread negotiation of all drugs in Medicare Part D. But the proposal irks progressives who think Democrats should stick with their 2018 campaign platform pledge of all-in Medicare price negotiations. Rep. Lloyd Doggett (D-Texas) said Tuesday that while he wouldn’t rule out arbitration, it was “an extremely narrow approach that would not provide an immediate answer to the concerns I hear from so many people about prescription drugs.” Doggett chairs the Ways and Means Health Subcommittee and sponsored a Medicare price negotiation bill with more than 110 co-sponsors. If Democrats are going to reach an agreement, “it needs to be on something that really makes a difference in the lives of people on health care and not agreement for agreement’s sake, so a meaningful step forward I’m for and I hope that we can get there,” Doggett said. Congressional Republicans may also be a barrier to an agreement on arbitration. 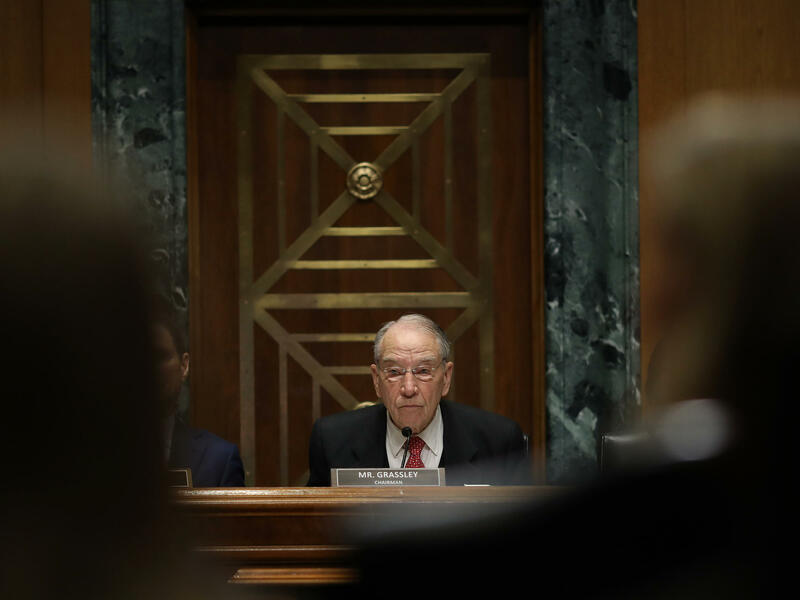 Grassley has concerns about the plan, his aides said. The White House-Pelosi talks so far consist of staff-level discussions and aren’t negotiations, according to Henry Connelly, Pelosi’s deputy communications director. “House Democrats promised the American people we’d take bold action to lower prescription drug prices, and that’s what we’re going to do,” he told POLITICO Playbook. The White House may be trying to use its conversations with Pelosi’s office to send a signal to Republican lawmakers that they need to be willing to push further on drug pricing. Many of the White House ideas on drug pricing — like tying the costs of physician-administered drugs to the lower prices paid overseas — fall outside the market-based approaches favored by Republican lawmakers on Capitol Hill. Primus wants the White House to agree to a delay in implementation of a sweeping rule to overhaul the drug rebate system, lobbyists and health policy groups said. The proposed rule would prohibit drug manufacturer rebates in Medicare and Medicaid unless they are passed on directly to consumers at the point of purchase. Democrats have been critical of the rule because it is expected to raise seniors’ Medicare premiums and cost the government billions of dollars. Azar and his team have been adamant the rebate rule — aimed at eliminating “back-door rebates” to middlemen — will be finalized shortly so it can take effect in 2020. But health plans and the drug industry see that timeline as unrealistic. 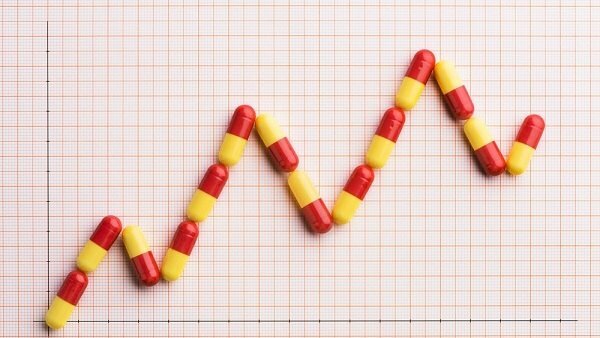 Savings generated from delaying the rebate rule could help the White House pay for other drug-price priorities, including a budget proposal to establish an out-of-pocket spending cap for Medicare Part D beneficiaries that is estimated to cost the government $14 billion over 10 years. However, this is another idea that faces an uphill battle with Republican lawmakers. Grassley has said delaying the rule would simply be a budget gimmick he does not support. 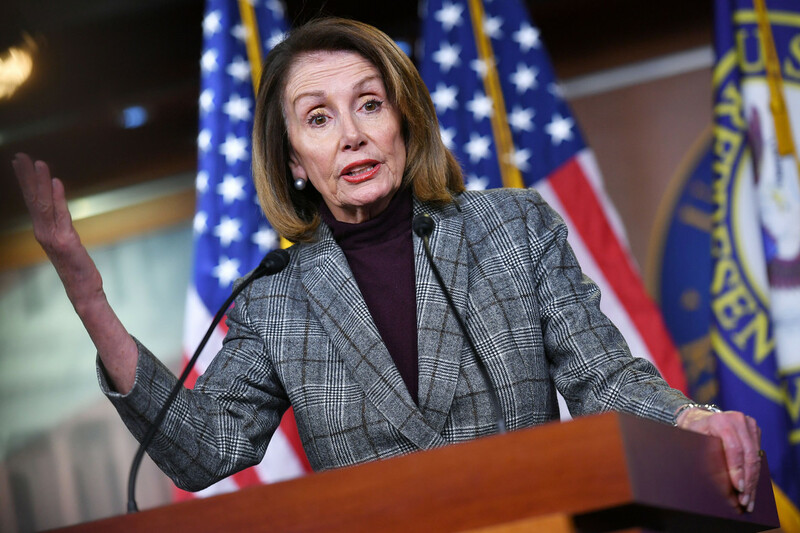 House Democrats this week intend to start moving a package of narrow bills that address drug prices by creating more robust generic drug competition. Several of the measures have bipartisan backing. One area of possible compromise could be on legislation to make it harder for brand-name drug companies to deny samples of their products in order to block generic drug competition. CEOs from seven major drug companies recently told the Senate Finance Committee they could support some version of the plan, known as the CREATES Act. However, work in the House on even these more incremental drug pricing bills have stirred tension between the Democrats and Republicans. The Trump administration is moving ahead with its proposal to require drug companies to disclose the often sky-high prices of their products in television commercials, despite strenuous objections and the threat of legal challenges by drug makers and TV broadcasters. “This expanded point-of-sale discount program demonstrates our commitment to delivering better prices for consumers,” John Prince, the chief executive of OptumRx, said in a statement.